Medical Innovations GmbH – or medin® in short – is a Munich-based medical device manufacturer that develops and sells innovative CPAP systems for newborns and premature infants treated in intensive care units. The latest product development – medinCNT® – works without a compressor thanks to the built-in turbine. 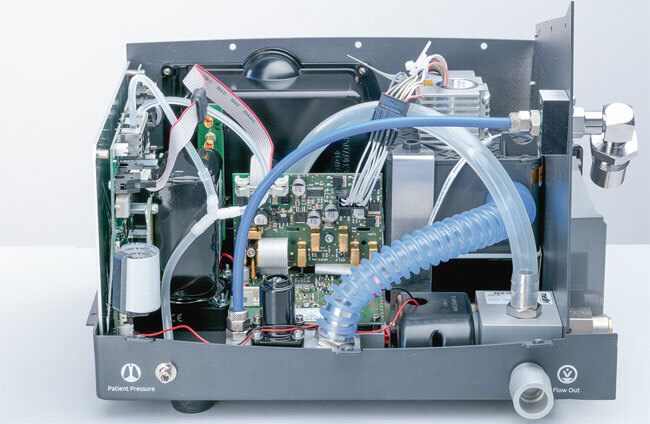 Since it only needs to be connected to an oxygen cylinder instead of a central gas supply, this independently-operating, compact device is transport friendly and thus ideal for mobile use. medin® has been working closely with Bürkert for many years. The result of this collaboration provides young patients with the best possible support for a good start in life. Airway Pressure, which maintains the functional residual capacity of premature and newborn babies without the need for intubation, while ensuring an optimum supply of oxygen and training the relevant muscles. Independently operating mobile systems are becoming increasingly popular in delivery rooms, ambulances and intensive care units. 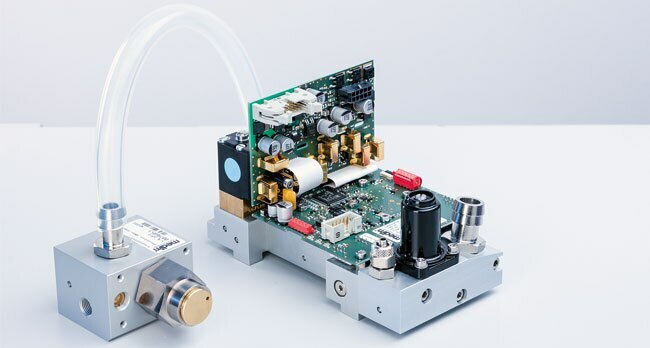 To address and tackle the considerable technical challenges, such as the precise recording and control of required gas volumes, medin® turned to the experts at Bürkert. The result of this joint development project is medinCNT®. A main challenge that needed to be addressed when developing the system solution for the new ventilation device was, for instance, the precise recording and control of the gas volumes, concentration and pressures required for the baby. Bürkert developed a modular system to meet all the requirements. The new gas mixer consists of a compact control block, the mixing and measuring equipment, fitted control electronics, valves and silencers. In addition, this system contains oxygen sensors, a pressure-relief valve and connecting threads for the air and oxygen inlet and for the outlet of the gas mixture. The latest generation of Bürkert proportional valves offers frictionless operation, combined with fast response times, highly dynamic performance and high repeat accuracy of ± 0.25%. In fact, this is much more precise than the maximum deviation of ± 2% required by current medical standards. The Bürkert solution therefore guarantees ideal therapy solutions delivered in the most efficient way to young patients, making sure their whose lungs receive the best possible support for a good start in life.